Why Use Lucas Waste Clearance? 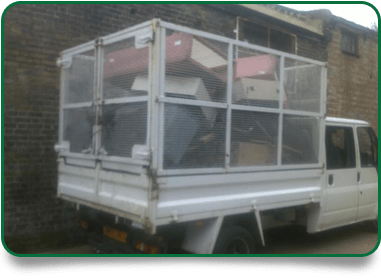 When you need a waste removal service that’s quick, hassle-free and fits right in with your schedule, Lucas Waste Removal can help with a reliable, fast and efficient service that’s fully licensed and insured and operates within all local authority waste removal guidelines. We’re known for delivering a friendly service that’s tailored to your schedule. Working within your required timescale, your waste will be removed quickly with no hassle or complications. Our service is provided all day, between 7am and 7pm, and clearances outside of working hours can also be arranged for those who are unable to be around during weekdays. Our reputation is built on decades of good service. We’re popular with local homeowners, and we’re trusted by Housing Associations, local councils and private landlords alike. 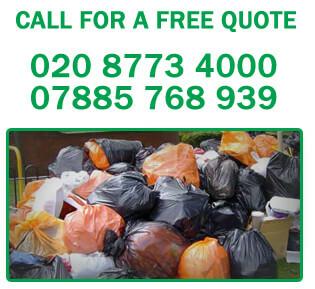 You’ll receive a top quality waste removal service that you can rely on every time. At Lucas Waste Removal, we carry all regulatory licences for your peace of mind. Health and Safety is adhered to during all clearances and all our staff are CRB checked. We’re Environment Agency approved so you can be sure all your waste will be disposed of responsibly and recycled wherever possible. From beginning to end, you’ll receive a professional service from Lucas Waste Removal. Our drivers are available to help at all times, and you’ll be provided with waste transfer notes on completion. Call us today on 020 8773 4000 or 07885 768 939 for further information or to book your clearance or use the contact form on our website. 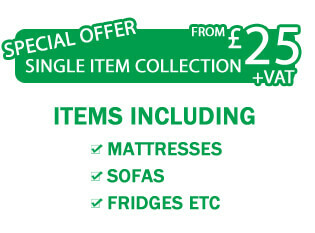 Whatever your waste removal needs, large or small, the experts at Lucas are ready to help.